Most capital cities and many regional towns in Australia host literary festivals. As well as those that focus on general literature, there are also themed events like the Speculative Fiction Festival (Sydney), the Emerging Writers Festival (Melbourne), the Festival of Australian Children’s Literature (Canberra) and CrimeScene (Perth) . All of them are worth checking out, as they attract authors from around Australia and the rest of the world. 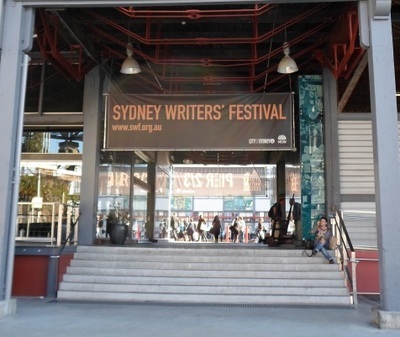 But if you can only visit one, it may as well be the Sydney Writers' Festival, which is Australia's biggest writers' festival and covers all genres. Here, you'll get a good idea of the Australian literary scene, stay up-to-date with international releases and even visit some iconic Sydney attractions. The event is held in May each year and takes place all over the city. There are talks in local libraries, children's days out at Parramatta, and even a few evenings of events at Katoomba in the Blue Mountains, where the Varuna Writers Centre can be found (a great way to wind down after visiting other attractions in the area like the Three Sisters, as you experience both the natural and cultural side of this popular destination). 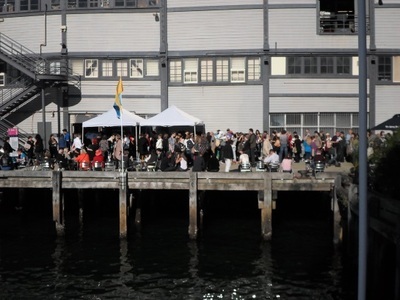 The heart of the Sydney Writers' Festival is Walsh Bay though, where four days of events are held on the piers and at Sydney Theatre. This location is right next to to the Sydney Harbour Bridge and across the harbour from Luna Park, and if you get there by walking along the water's edge from Circular Quay station, you'll get to see the area in all its splendour, with great views across to the Sydney Opera House too. A few sessions can also be found at other city venues during this time as well, including the iconic Sydney Opera House itself, where some of the more prestigious events are held. Others include Sydney Town Hall, the City Recital Hall, The Mint and the State Library of NSW (where writing workshops are often held). Each year the festival has a different theme, but you'll always find authors talking about their new works and the writing craft, enjoying dialogues with each other, considering social and political topics and taking part in Q&A sessions. There's also poetry readings (one taking place in Jenolan Caves), live ABC radio broadcasts and various workshops on the writing craft. Entry to the activities can be either free or ticketed, and in either case places can fill up fast. 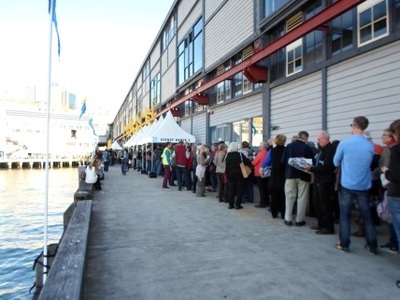 For the free events, some draw long lines well before they start, so you may need to get there early if you want to make sure you don't miss out. But while you wait, you can still enjoy free entertainment by performers recruited to keep everyone happy (and it's extra time to read too). If you don't get in, you can often listen to some of the broadcasts outside the venue anyway (one is typically broadcast with visuals elsewhere too). To really make the most of the Sydney Writers' Festival, it's best to familiarise yourself with the program well in advance. 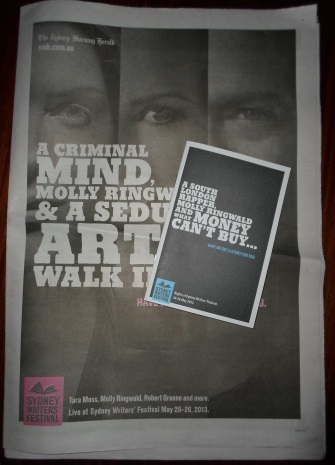 If you're already in Sydney, these can be collected from local libraries, and they're also released in the Sydney Morning Herald prior to the festival. Otherwise, you can access everything online. Of course, you'll also enjoy the festival most if you're up-to-date on the latest releases and familiar with the visiting authors. But even if you're not, there's plenty to see and it's a good pace to discover new favourites and see the city at the same time. 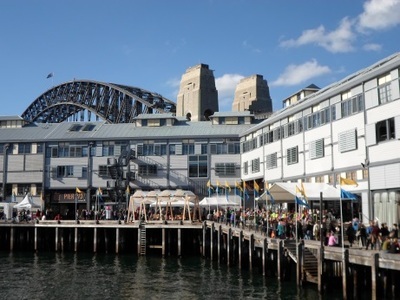 As for where you'll stay while all the action takes place, Sydney has many accommodation options catering for all budgets, but if you stay at The Sebel Pier One in Walsh Bay, you might be lucky enough to meet some of the authors in person.